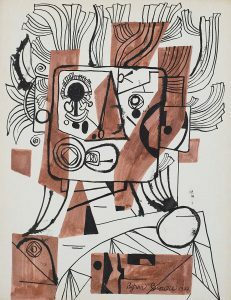 By 1930 the direction of Browne’s work was clearly established. 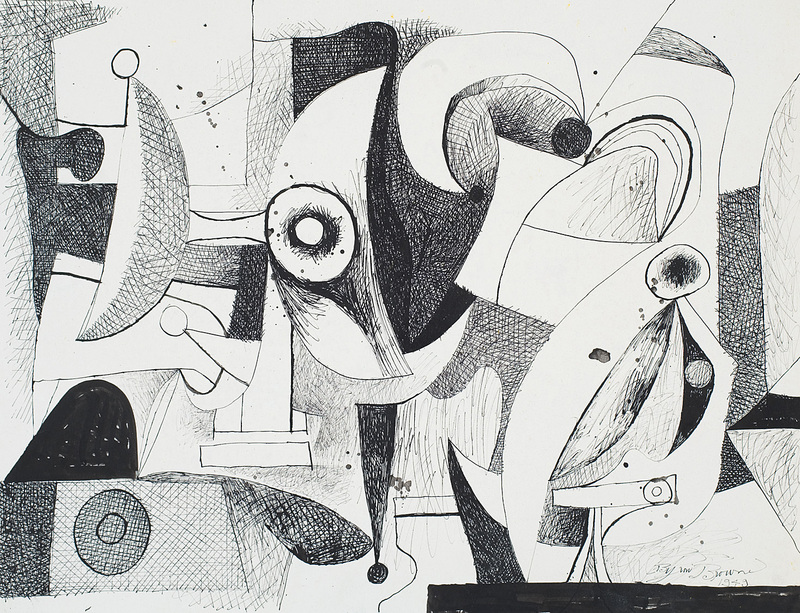 By the mid 1930s he found work and support within the Works Progress Administration Mural Division, as Burgoyne Diller, the Division’s head, began to advocate and organize in behalf of abstract artists. 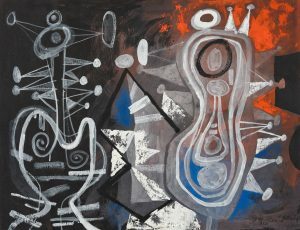 Browne became a founding member of the American Abstract Artists, as well as having involvement in a variety of other political and artistic groups at this time. 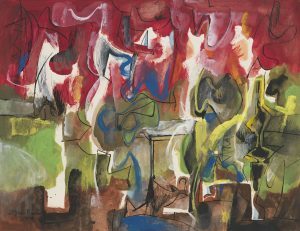 Like his wife, the artist, Rosalind Bengelsdorf, Browne wrote and spoke frequently in defense of abstraction. 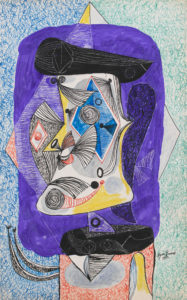 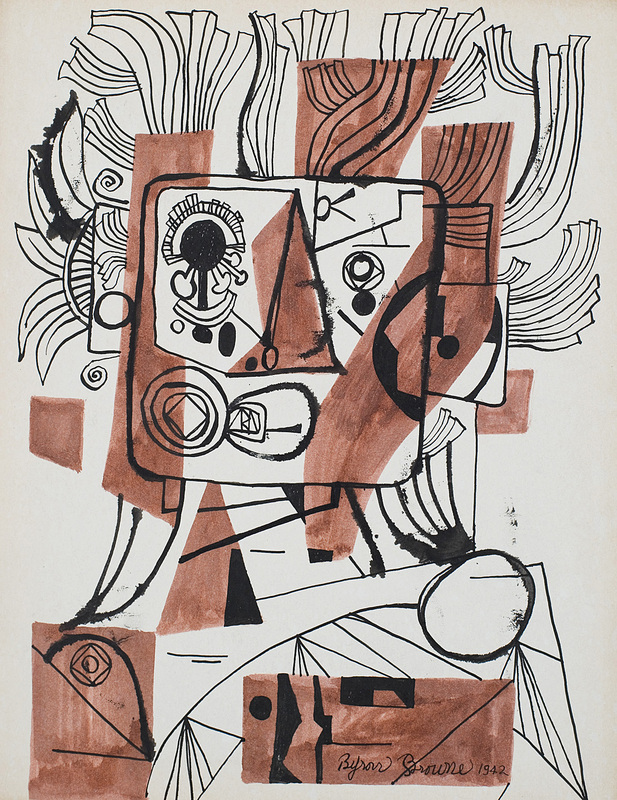 In the 1930s Cubism can be seen as the dominant influence in his work, while by the 1940s his paintings had relaxed into softer, biomorphic forms reminiscent of Arp and Miró. 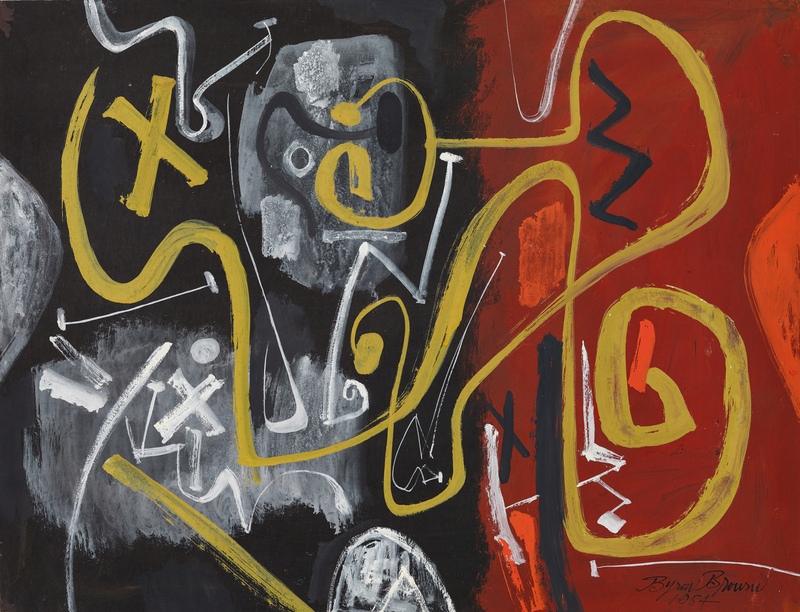 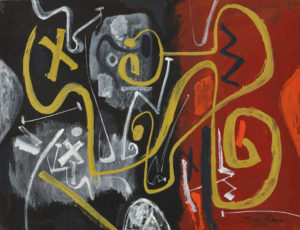 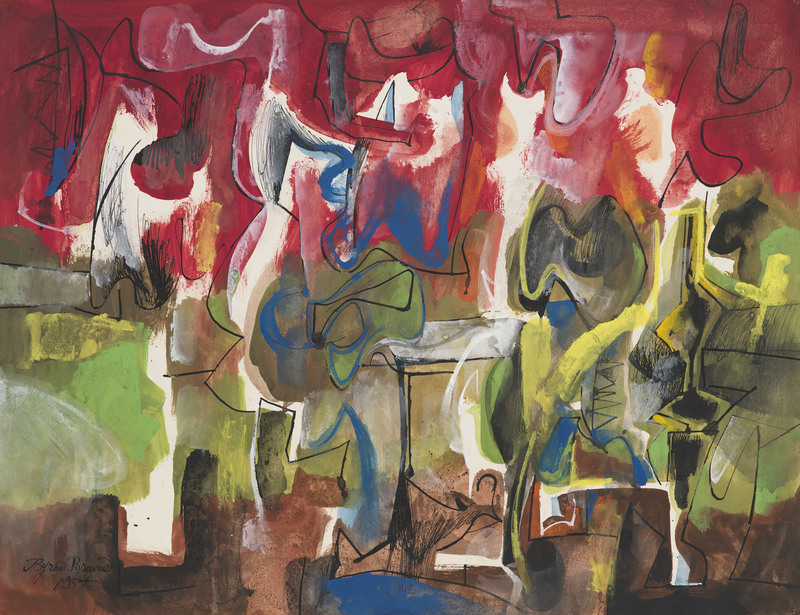 In the 1950s, in response to the emergence of Abstract Expressionism, his work became more gestural and painterly. 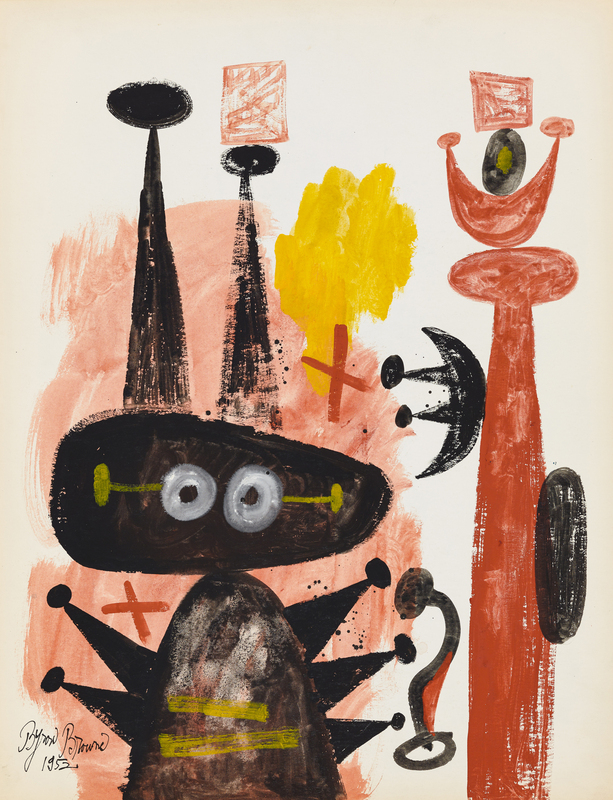 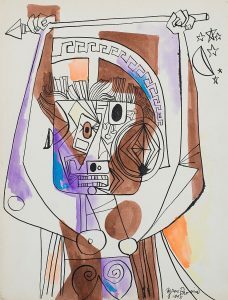 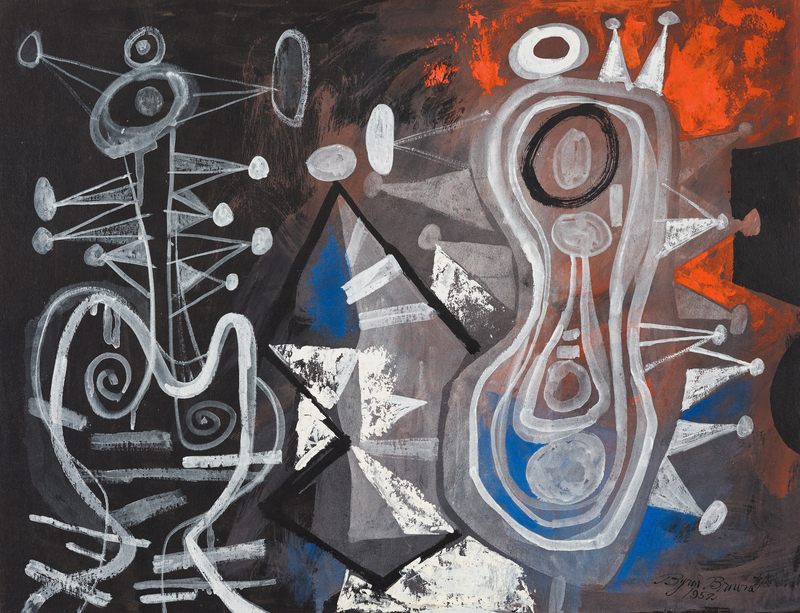 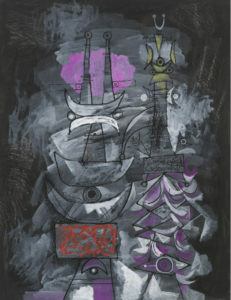 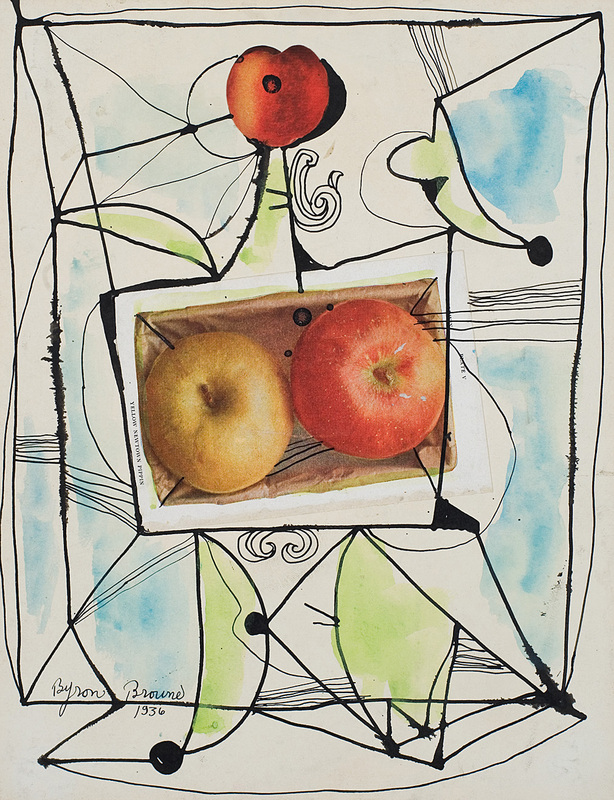 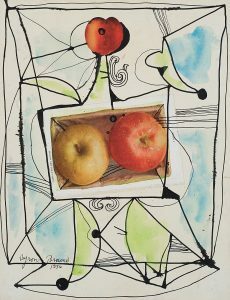 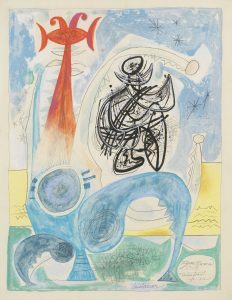 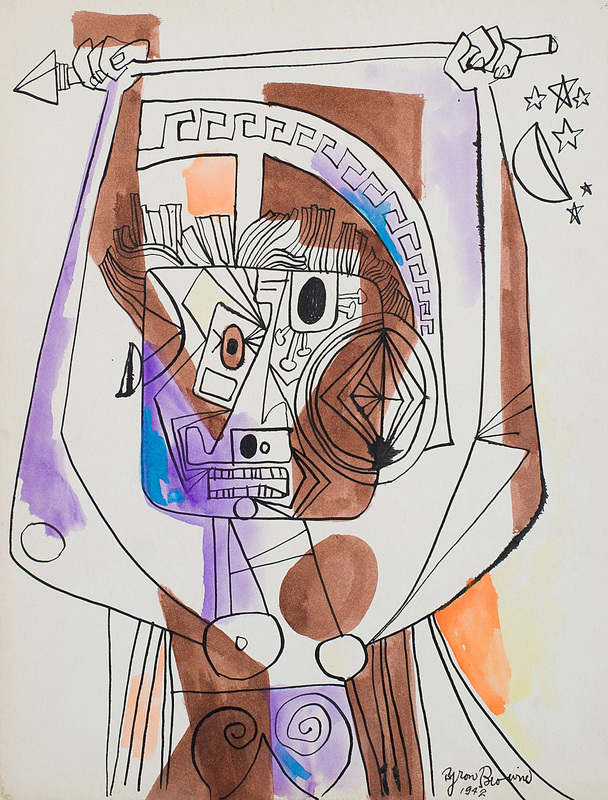 However, these styles were never mutually exclusive; Browne felt free to combine any or all of these elements, depending on his expressive intent. Findlay Galleries has been the exclusive representative of the Byron Browne estate since 2004.